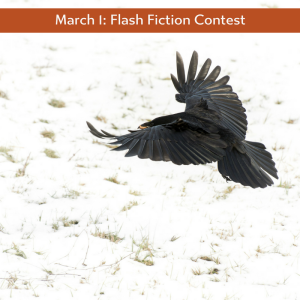 Prompt: In 99 words (no more, no less) write a story that includes a raven. Respond by March 6, 2018, to be included in the compilation (published March 7). Rules are here. All writers are welcome! ‘Soon I shall be a bridegroom,’ said Mr. Rochester. Jane looked down at her plain, governess dress and remembered Blanche Ingram’s extravagant clothes, noble features and glossy, raven hair. Jane refused to witness the man she loved marry a beautiful, yet unworthy gold-digger. I’ve tried to capture the moment Rochester asked Jane to marry him, which is no doubt one of the most dramatic and romantic scenes in the novel. Jane is convinced that he’s going to marry the awful Miss Ingram, but Mr. Rochester recognises gold when he sees it, even if it’s hidden under an ugly dress! I love that your mind went to Blanche Ingram’s hair. Was it typical of that era to describe the beauty of such deep black locks as the gloss of a raven’s wing? For some reason it makes me think back to other historical novels, too. To use flash to capture a moment is a powerful use of the art form. You captured it well, of course! Thank you, Charli❤ Bertha Mason, Mrs. Rochester (in the attic) was also a dark haired and dark eyed beauty, although her skin was darker than Blanche’s, and Celine Varens, his former French mistress and Adele’s mother was dark haired. Jane had ‘russet’ hair and green or hazel eyes. Rochester also had dark hair and eyes.